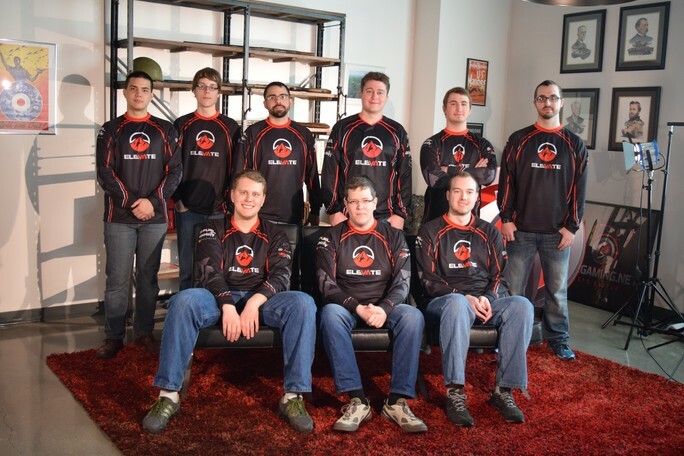 Looking back at WGLNA Season 5, no roster change made more of an impact than eLevate’s signing of Serenity17. It’s like eLevate members were sitting around watching old episodes of Seinfeld when they went all Costanza and figured out what their team was missing. In fact, you can look at that one roster move and trace its impact across the league, from eLevate’s championship rise, to Serenity’s former team, Victorious Secret, not even making the playoffs. But can North America’s top Tanker lead eLevate to a win at the upcoming Grand Finals? 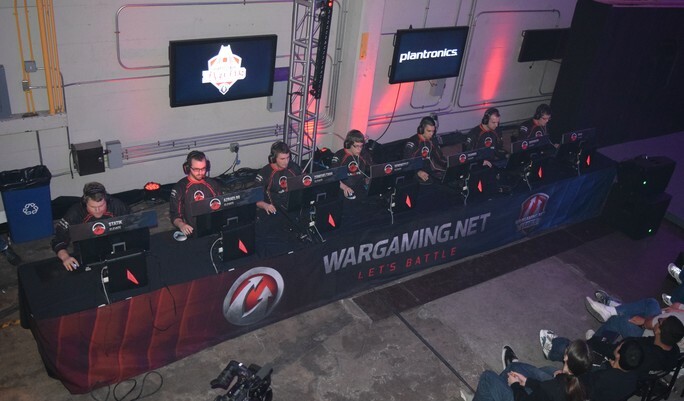 Wargaming’s Jon Robinson caught up with the 19-year-old college student (real name Alexandre McGuire) to get his thoughts on eLevate’s title run, and whether or not his team can pull off the unthinkable and bring the Grand Finals trophy back to NA. 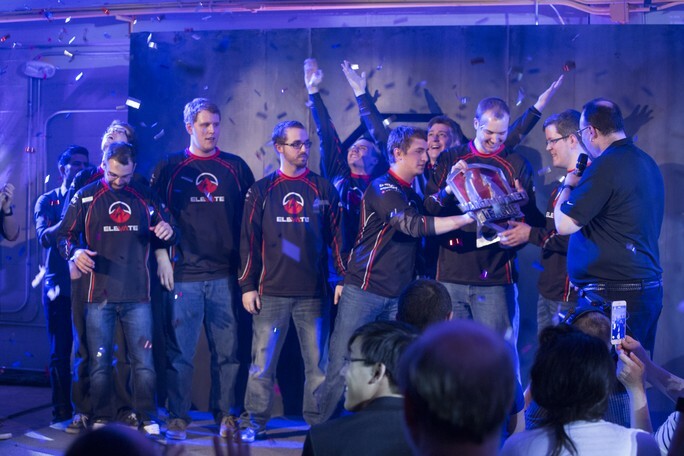 Wargaming: Before the season, you switched teams from Victorious Secret to eLevate. Why did you decide to make the move? Serenity: The first time I played with the new team, it was back when they were Burn All Empires. I played with them for Rumble in the West, and after three or four practices with them, we realized it was a perfect fit. I was really helping fill the gaps. The other guys on the team are all really aggressive in brawls, and I’m a lot more passive, so this setup allows me to do a lot of damage as I flank around, take my time, and pick off targets from a distance. That worked out really well in Rumble in the West, where I was able to do a lot of damage, and I usually stayed alive until the very end. So it just seemed like a natural step, seeing how well we did in Rumble in the West, that this was going to be my new team. I was really excited to go into Season 5 with eLevate because before the season, they had a meeting, and coming out of that meeting the goal was to finish in the top two. It was exciting to be on a team that was trying to win it all. That roster change was the biggest moment of the season, as you helped eLevate win the Season 5 championship. My teammates really allow me to do the damage necessary to win games. I’ve never done so well on any other team. On Victorious Secret, I was playing well, but this team is really where I feel at home. They are changing their whole play style around me doing a lot of damage. You said the goal was to finish in the top two, but you guys started the season extremely slow. Did you start to wonder if you’d even make the playoffs after the first few losses? Honestly, at the beginning of the season, we were aiming for top two, then we lost three rounds right off the bat. I think at one point we were even second from last, and personally, I even started to lose hope at that point. But Zonedelta and GeeForcer, these guys never lost hope, and instead of getting down, we just decided to work harder. We started watching our replays, we started to work harder on reaching that top two goal. Then when we made it to the Live Finals, we knew, anything was possible at that point. When we got to San Francisco, we felt extremely confident that we could beat anybody at that point. What’s the difference in the team dynamic between eLevate and what you had in Victorious Secret? At the core of eLevate is a core of friends who play everything together. That’s the key to the team’s synergy. We all know each other very well. With Victorious Secret, we didn’t spend too much time together, so the synergy just wasn’t there. 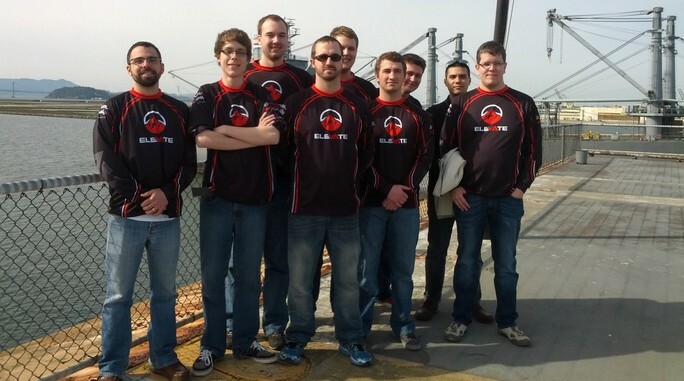 Also with eLevate, we’re just a lot more serious about the league. Victorious Secret was just a lot less serious where, we would scrim, but we never watched replays. You’re flying to Poland for the Grand Finals. How is eLevate preparing to take on the best teams from Europe, Russia and Asia? We started to practice against non-North American teams just to see where we’re at and what we need to work on before the Grand Finals. We also started to watch and analyze all of our replays in order to get the most out of each practice. So we’re really looking to get the most out of each practice, and we’ve never practiced this much before. We’re just trying not to burn ourselves out, which is what happened before Rumble in the West. How do you think the new format benefits eLevate as opposed to the old format that was played in Rumble in the West? Rumble in the West taught eLevate that those teams are very hard to play against. It’s scary when you think about the European teams and the Russian teams, but they’re not unbeatable. We can watch the replays and see what we did right and what we did wrong. Same thing for them, they make mistakes as well, and if we prepare right, we can take this. It’s not as impossible as people might think. The brackets have been picked and you’re in a group against Santa Claus & 6 Deers and Virtus.Pro. How do you rate your competitors? They’re both extremely good, especially Virtus.Pro. They have so much live experience and they’re really looking scary. It’s going to be hard for us to get through group stage, but we have practiced hard and we have prepared strats for both of these teams. We’re really looking forward to performing well in the group stage. Most people don’t think a North American team can beat a Russian or European team in this event. How do you plan to prove the pundits wrong? We heard the Russians not only practice a lot, but are constantly watching replays, so that’s who we’re trying to emulate. We just want to play as smooth as possible, and all of this preparation will help with this. Essentially, though, we just need to go out and do what we do best, and that’s play aggressively while throwing in some off-the-wall strats. It has worked so far, so we’re going to keep doing what we do best. When you look at all the teams headed to Poland, who do you see as the biggest threat to eLevate to winning it all? Na’Vi is the best team right now. They have so much experience worldwide, and they’ve been here for years. They’ve never disappointed. They just keep winning. If we end up playing them at some point, we’re going to need to come up with some crazy stuff in order to take them down. It will be a really tough fight if we have to face them, but we’re prepared to do whatever it takes to pull off the upset. When you examine all of the pro teams competing in Poland, where do you think eLevate ranks? We’ve practiced against Arete from the Asian server, and we’re pretty much 50/50 with them, so I think we’re at the same level as the Asians, and we’re catching up to the Europeans. The Russians are still playing at the highest level, but we’re catching up. Just look at the NA scene. Before, you had FNATIC and SIMP winning every year, and now there are just random teams rising to the top. That’s because the skills gap is closing slowly. This season, there’s still a big gap, but by next season, I think it will be very, very close. Who on eLevate is key if you guys are going to make a run in Poland? Zonedelta is our caller and he’ll be leading the way. He was on top of his game in San Francisco, and that enabled us to win it all. I also think GeeForcer was performing really well. He’s always just so calm and collected no matter what happens, and that’s vital, especially in live tournaments. Zonedelta and GeeForcer are prepared to shine in Poland. The other NA team headed to Poland is RUlette. They had a tough time in Season 5 getting their act together. How do you see them performing in the Grand Finals? They have a hard group, but I honestly think they are going to play really well and pull off an upset. We’ve practiced with them quite a lot and they’re a very, very good team. Even though they didn’t go to the Live Finals, they’re very serious about Poland. They’re a really, really good brawling team, and they’re just solid in every engagement, and I think they’ll do well. Even if they lose, they’re going to make their opponents work really hard to beat them. 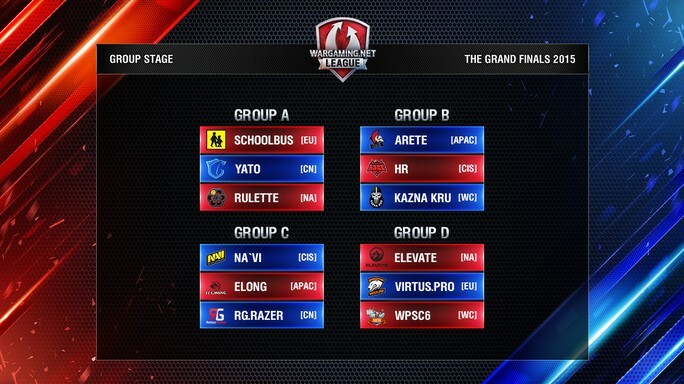 Looking past Poland and on to WGLNA Season 6, how difficult is it for eLevate to successfully defend your title? With so many new teams on the rise, it’s tough to tell from one season to the next how a team will do, but even with the skill levels evening out across the league, we are the team who improved the most in Season 5, and we’re going to do everything in our power to stay at the top. If that means practicing more, we’re going to practice more. If that means watching all of our replays, we’re going to do whatever it takes to win. We liked winning Season 5 so much, we’re addicted to winning, and we’re going to do everything in our power to feed that addiction.